This page contains the FTC Disclosure for StrawberriesForStrawberryLovers.Com. Hello! 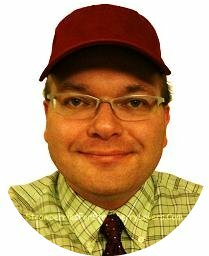 I'm Steve Gilkey, Founder and Owner of StrawberriesForStrawberryLovers.Com, Home of the World's Happiest Fruit! As a visitor toStrawberriesForStrawberryLovers.Com, I want you to know and feel that you are being treated with fairness and respect at all times. This site is funded through advertising. With some advertising, a visitor clicking on an advertisement is all that is necessary for this site to make money. For other advertisements, if a person clicks on an ad and then later buys something from the advertiser, this site may receive a commission. A third way this site may receive advertising revenue is by renting ad space. Product reviews on this site are never based on an advertising relationship. Anytime I review a product, I only tell you what I really think. It's true that there aren't any negative reviews on this site, but this is simply because I don't bother writing reviews for things I don't like. As a child, I was taught "if you can't say something nice, then don't say anything", and I try to follow that teaching as much as possible. Besides, I want this site to be uplifting, and free of negativity. Originally posted June 19th, 2011; updated August 1st, 2011.